By Barbara Repa. 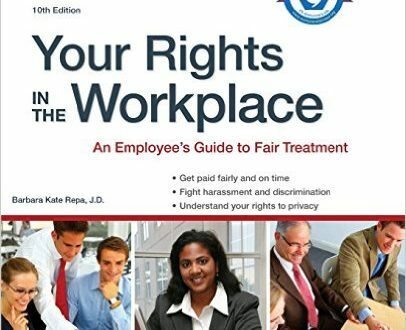 Covers everything from rules for hiring and getting paid through losing a job and unemployment benefits, including: illegal firings and layoffs, challenging a job loss, wages and hours, privacy of email and voice mail, family and medical leave, on-the-job safety and health, health insurance and retirement plans, workplace testing, sexual harassment, discrimination and unemployment, disability and workers’ compensation insurance. Read more.